There are two variants bookable on 'T Hoogelandt. 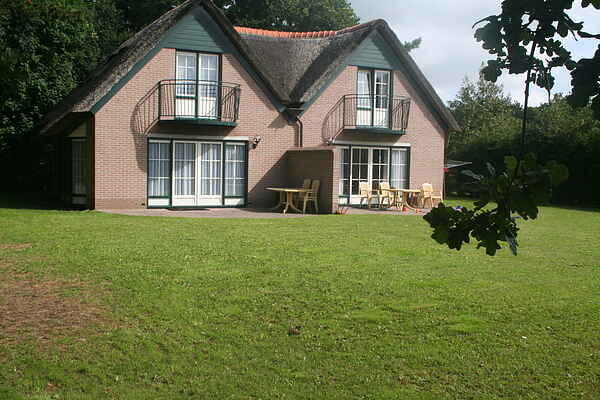 A comfortable 4 person bungalow, semi-detached, (NL-1796-06) with steam shower. There is also a new 2011 detached 6 person thatched type (NL-1796-18) with two bathrooms, large garden and washing machine and dryer. All houses have a garden with terrace and garden furniture.